TI’s OMAP4 Processor is First to Receive Netflix HD Certification, DROID3 a Lot More Attractive? Texas Instruments announced today that its OMAP4 platform has achieved the first Netflix HD certification for mobile, which means that Android devices using their processors just became a heck of a lot more attractive. TI was able to meet the strict security measures through their M-Shield technology which is also able to provide optimal playback time, while maintaining low CPU loading so that mobile devices can run other apps and services. With Netflix HD, OMAP4 devices can stream full 1080p HD content or mirror it through their bigger screened TVs, monitors, etc. Anyone starting to consider the DROID3 now? We’re almost 100% sure that the D3 is running an OMAP4 processor, leading us to believe that it will support Netflix HD at some point down the road. Sure, it’s 4″ screen may not seem super optimal for HD content, but it’s HDMI mirroring sure does. And are we now hoping for an OMAP in the DROID Bionic? Umm, yep. DALLAS, July 5, 2011 /PRNewswire/ — Texas Instruments Incorporated (TI) (NYSE: TXN) today became the first partner to achieve the Netflix Silicon Reference Implementation (SRI) certification for the Netflix HD application on Android. TI’s OMAP™ 4 platform, complete with M-Shield™ security technology and TI’s quad-radio WiLink™ 7.0 connectivity combo solution, met the Netflix requirements for mobile content streaming, including the ability to run up to full high-definition (HD) 1080p video within strict security measures. This milestone reflects the strength of TI’s M-Shield technology on the OMAP 4 platform and marks the first time Netflix has certified its 1080p streaming application with end-to-end protection on a mobile device. With its dual ARM® Cortex™-A9 MPCore foundation featuring TrustZone®, TI’s OMAP 4 platform sets the bar for multimedia-rich Netflix experiences on today’s mobile devices. It employs parallel processing for higher performance and better power efficiency, and includes engines that drive consumer-demanded capabilities such as full HD 1080p 30fps multi-standard video and more. Part of the OMAP 4 platform, TI’s M-Shield security technology protects premium content and mobile devices from attacks while streaming with the Netflix application. The M-Shield solution implements a hardware-protected, trusted execution environment (TEE), which runs on the OMAP processor, yet does not require a dedicated chip or extra CPU cycles. This allows M-Shield and OMAP architecture to provide optimal playback time, while maintaining low CPU loading so it is free to run other applications. Additional streaming security was achieved through the use of Wi-Fi-based WEP, WPA and WPA2 protocols, part of TI’s WiLink 7.0 solution—the industry’s only single chip to include Wi-Fi, Bluetooth®, GPS and FM technologies. Smartphones and tablets running the Netflix application on the OMAP 4 platform can also connect to larger, HDMI-supported televisions as the OMAP platform’s security includes HDCP encryption over the HDMI connection itself. TI worked with Trusted Logic to develop the secure middleware component (SMC), which is the OMAP version of Trusted Logic Trusted Foundations™. The SMC executes Trusted Logic TrustedShow™ and an OMAP-optimized implementation of the Netflix-required Microsoft PlayReady™ DRM scheme. The OMAP 4 platform’s Netflix certification supports Android 2.3 (“Gingerbread”) today, with support for additional Android versions planned for this year. Devices with the OMAP 4 processor-driven Netflix application pre-installed will be launched in the near future. Texas Instruments semiconductor innovations help 80,000 customers unlock the possibilities of the world as it could be – smarter, safer, greener, healthier and more fun. Our commitment to building a better future is ingrained in everything we do – from the responsible manufacturing of our semiconductors, to caring for our employees, to giving back inside our communities. This is just the beginning of our story. Learn more at www.ti.com. 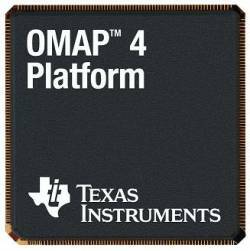 OMAP and M-Shield are registered trademarks of Texas Instruments Incorporated. ARM is a registered trademark, and Cortex is a trademark of ARM Ltd. All other trademarks and registered trademarks belong to their respective owners.